This morning I pulled the four of swords from the tarot card deck. What a perfectly fitting card for the day! The four of swords indicates a person who retreats to take a much-needed rest which can eventually lead to healing if needed. 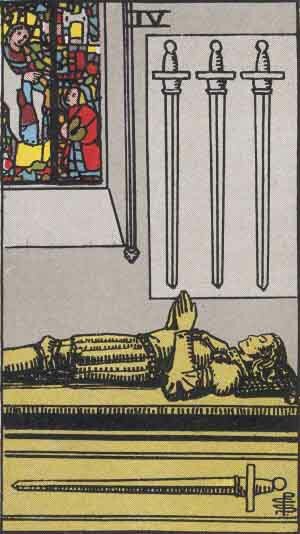 However, the four of swords for me indicated that I needed to slow down for the day, relax and meditate. In essence give my self a mental break! That’s exactly what I did. I enjoyed the rainy day in my pajamas and watched movies on cable all day. I believe the last time I did that might have been three years ago! This card is a reminder that we need to take a moment out of our busy schedules and replenish ourselves mentally. The four of swords can also symbolize retreating and allowing yourself to recover from whatever ails you. What this card mean for you! Today I pulled the devil reversed as the card of the day from my tarot card deck. Interesting! Like the death card, most people fear the devil card. Bottom line, and generally speaking, the devil card can symbolize sexual obsession,Illushionment, misery, and materialism. However, the devil card reversed can indicate a person who becomes conscious of being dissatisfied with the unhappy status of their life. As a result, they make a conscious decision to try an liberate themselves by making changes for the better. 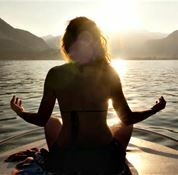 However, just like a drug addiction, it may very easy to return to the old way of doing things which caused the unhappiness to begin with. The tarot cards are absolutely amazing and right on point. 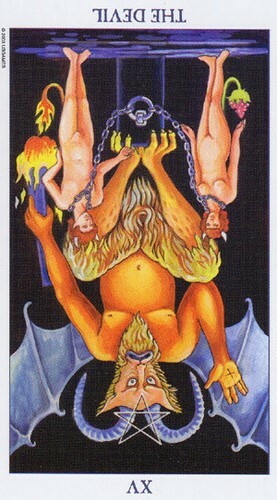 The Devil card reversed clearly indicates how I have been feeling over the last couple of months. I’ve made a conscious decision to better my life by making positive changes, such as exercise, eating healthy ad building a strong mind and body. What are your thoughts about the devil card reversed?